The kart is the most pure racing vehicle ever created. It has the essential components found in all racing machinery. A tuned chassis, strong brakes and a motor designed to be revved to within an inch of its life. Nothing will train your body to have a more immersive experience with a race track than a kart. Nothing at all. You’re sitting as one with the machine, as the entire chassis is flexing around you. You feel every camber change and every change in grip surface interacting with your body immediately. You want pure racing? You want karting. I’ve had several conversations recently with people who, I think just miss the impact of karting. They think about karting as just the bottom step on the ladder to progress in motorsport. 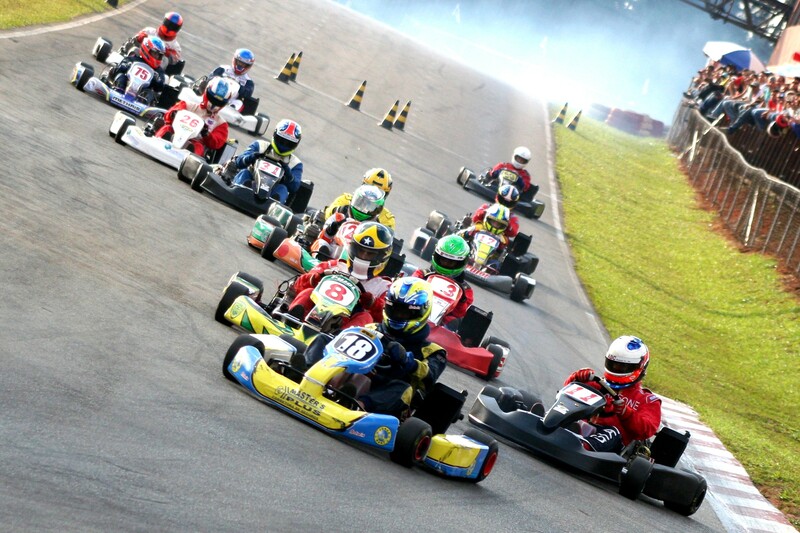 They approach karting as “just a stepping stone onto ‘better things’ for young drivers”. I just don’t think they really understand how influential the sport of karting really is to improving their own driving. Not only is the age range of drivers in karting wide (from 6-60+ years old), but when you just think about the performance capability of a race kart, the concept of relegating the sport as just a stepping stone boggles my mind. Think about it. How can you judge a vehicle that can carry more than 2.5g into a corner, as something that sits on the ‘bottom rung of motorsport’? How can you judge a vehicle that in some categories can do 0-60 in under four seconds as something that is on the ‘bottom rung of motorsport’? Try physically enduring twenty minutes in a racing kart. Compared to the majority of racing machines, outside of formula cars running massive downforce, nothing will be so intense on your body as being in a race kart. In fact, most cars that people “move up out of karting” to get into will feel slower than a race kart, because the cornering forces are so much less. Can a Spec Miata do this? No. No, it can’t. Karting definitely deserves its respect as a top-level motorsport discipline, and something that every serious racer should do. Personally, I see karting as an essential activity in being able to improve one’s racing abilities. Just as a driver has to eat the appropriate foods or improve his/her physical fitness with regimented exercises, karting provides racers with the most quality and tactile seat-time they can get. At the very least, for those who don’t want to drive in competition, it’s an intense racing training exercise. Want to improve your racecraft and the way you feel a racetrack? Get a kart. Want to train your body for the most intense racing environment you’ll ever be in? Get a kart. Want to do some serious racing, no matter the category? Get a kart. In short, want to be a better racer? Get a kart. Just get a kart. Want other reasons why you should have a race kart? Check out other articles I wrote on why you should be karting right now, and how easy it is to get started. This entry was posted in Karting and tagged art of kart, driver, Driver Development, driver karting, driver tools, Fitness, kart, karting, race, race kart. Bookmark the permalink. ← What do you want to see on |StartingGrid| in ’15? Absolutely true…I’m 47 years old, drove street stock for several years, been karting the last five years, and nothing is as exciting, in during, and challenging than karting!